"This image from NASA's Spitzer Space Telescope shows what lies near the sword of the constellation Orion - an active stellar nursery containing thousands of young stars and developing protostars. Many will turn out like our sun. Some are even more massive. 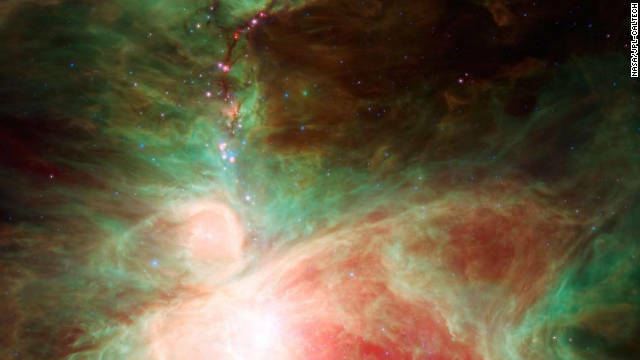 These massive stars light up the Orion nebula, which is seen here as the bright region near the center of the image."